English Tuition for Class 10 English CBSE is available through online tuition home tutor. Tutormine, one of the best online tuitoring platforms, offers eminient tutors for live interactive one-to-one online tuition for all subjects right at the home of students. I am bron in kolkata. I am from a join-family, but the only child of my family. A teacher with many years of experience in junior- senior level teaching. Basically i am from an english medium back ground later on I changed into bengali back ground. So i am equally transprent into both languages. I can teach from cls kg-4all subjects All BOARDS, From classes 5-12 arts group full i can teach of ALL BOARDS. And in college standers i can teach- Social sciences(Politicial Sciences. history) Till Masters. I can ensure you if you select me as your tutor you will not get down. So you cangive me atleast one chance. Participated in Quiz and debate competition in school and college. Got the First position in class 10 and 12 board exam from school and the first position from College in Graduation..
Got first position in Political science as higest marks in 25 years in calcutta university. Got First prize in Quiz in district. Got First prize in debate competition in district. Hosted our school as a competitor in inter-school debate championship in West bengal. Got the higest marks in english, history, geography, life science and physical science in 10th Board examinatons. Defeted the highest ranker of calcutta university in graduation in political science. 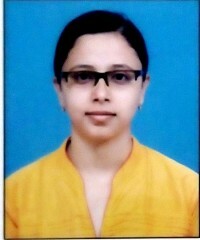 Gold Medalist in teaching in Arts subjects in my previous working(Teaching)place Urban Pro. Got Frist prize in online teaching as a teacher. Got the best counseller award in couselling the students.